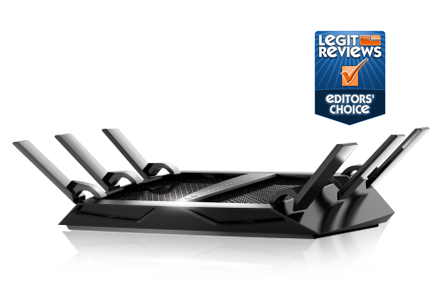 The Nighthawk X8 AC5300 Smart WiFi Router is the next wave in WiFi. Tri-Band WiFi and Quad Stream performance boosts X8's combined wireless speeds to up to 5.3Gbps. Four external Active Antennas plus four internal antennas amplify WiFi range. Six gigabit Ethernet ports means even more wired devices can connect and with port aggregation 2 ports can combine to double maximum wired speeds. 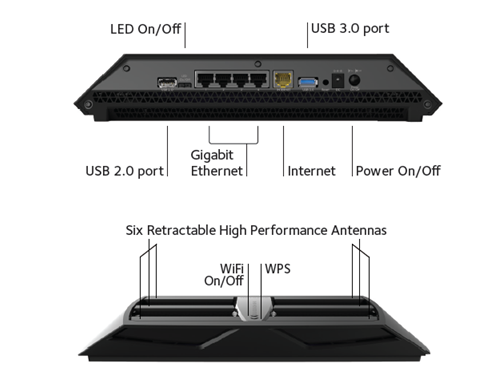 Nighthawk X8 is the next wave in WiFi. The Nighthawk X8 AC5300 Smart WiFi Router with breakthrough Tri-Band WiFi technology delivers a massive combined wireless speed of up to 5.3Gbps. 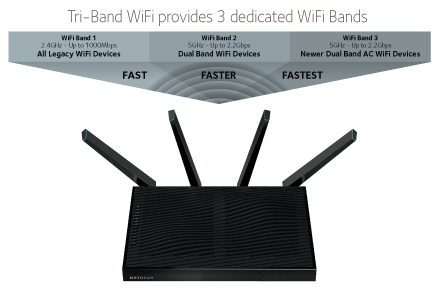 X8 uses Smart Connect to optimize WiFi performance by intelligently assigning every device to the fastest WiFi band possible and doing so allows devices to connect at their maximum speed. 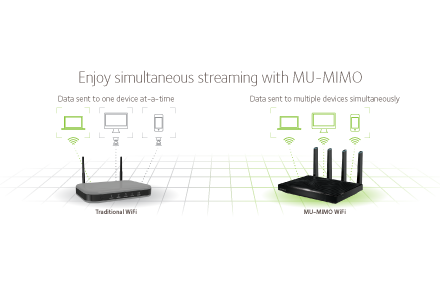 Load Balancing distributes WiFi devices ensuring usage of both the 5GHz WiFi bands. Even if everyone and everything in the home that’s connected to the Internet is streaming, gaming, working, playing, socializing or updating at the same time, the X8 won’t miss a beat-you’ll enjoy seamless clarity and zero lag. 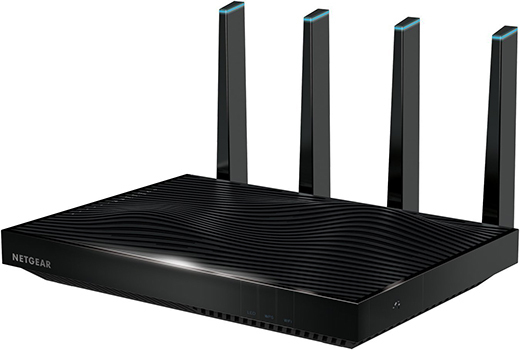 Each new generation of routers grows more powerful than the last, delivering stronger WiFi signals with greater range. At the same time, the WiFi signals on mobile devices are not getting more powerful. This difference in WiFi performance reduces overall WiFi range and speed. 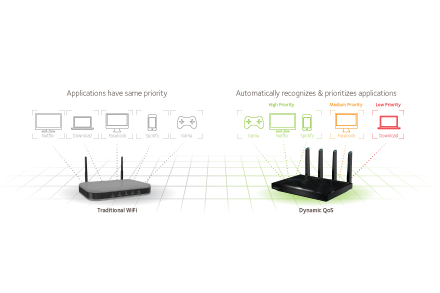 To meet this challenge, NETGEAR developed the industry’s first Active Antennas technology. NETGEAR moved the WiFi amplifiers from their usual location, on the router’s motherboard, to the top of the antennas. 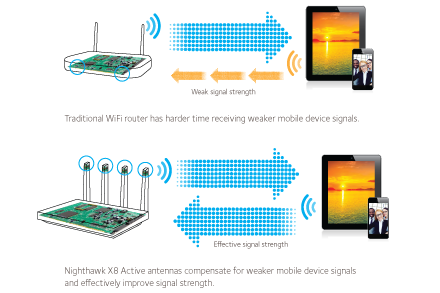 These Active Antennas help improve WiFi performance by amplifying signal in the antenna itself. This allows the router to receive cleaner and stronger signals from your mobile devices, avoiding signal degradation between the antennas and motherboard. Nighthawk X8 delivers Tri-band WiFi, quad-stream performance on each band, Multi-User MIMO capable, has 6 Gigabit LAN ports with Port Aggregation, and dual USB interfaces to connect external USB storage. 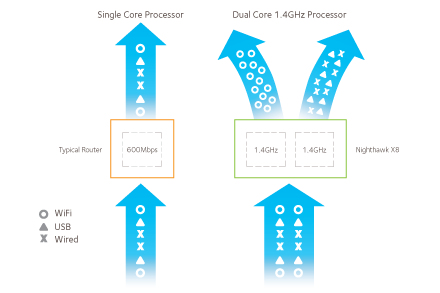 Using a single core processor would cause severe performance issues as various processes compete for CPU power. Get the fastest combined WiFi currently available and enjoy a blazing-fast, lag-free WiFi experience for gaming, video streaming or surfing - up to 5.3Gbps. 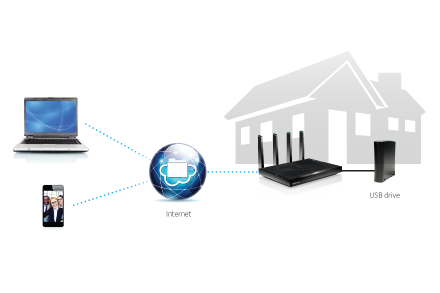 NETGEAR genie® App-Personal dashboard to monitor, control and repair your home network. 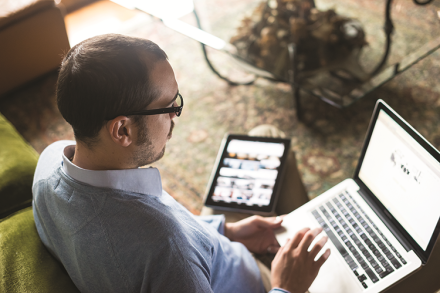 Now includes remote access to manage your network away from home. †Maximum wireless signal rate derived from IEEE standard 802.11 specifi cations. Actual data throughput and wireless coverage will vary. Network conditions and environmental factors, including volume of network trac, building materials and construction, and network overhead, lower actual data throughput rate and wireless coverage. NETGEAR makes no express or implied representations or warranties about this product's compatibility with any future standards. 802.11ac 1300 Mbps is approximately 3x faster than 802.11n 450 Mbps. 2.4GHz Performance Mode requires 256 QAM support on WiFi client. Up to 1300 Mbps wireless speeds achieved when connecting to other 802.11ac 1300 Mbps devices. Download the NETGEAR R8500 Datasheet (PDF).